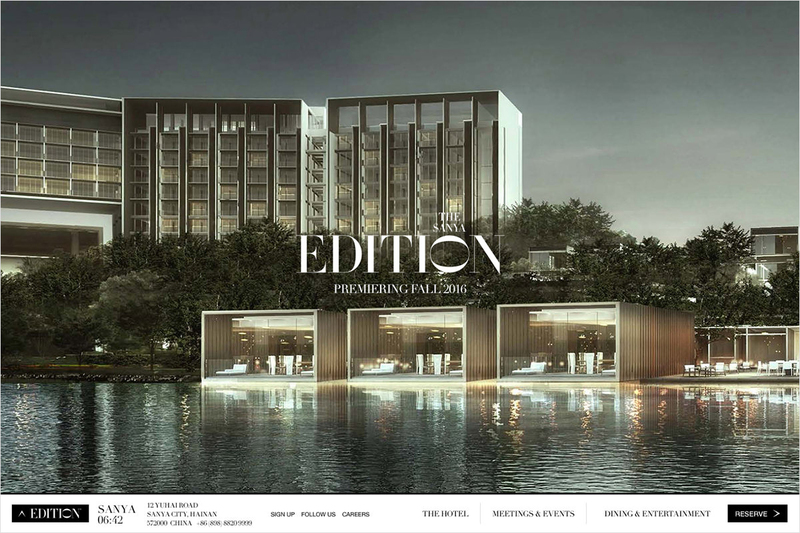 Edition Hotels is a luxury boutique hotel partnership between Ian Schrager and Marriott International, launched in September 2013. 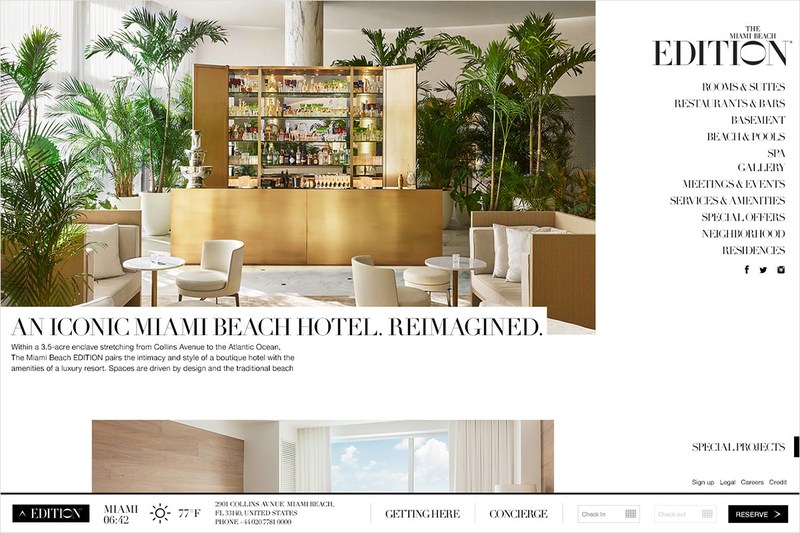 Schrager is a legend in the hospitality business, so we wanted to create something to match his history of innovation and great design. 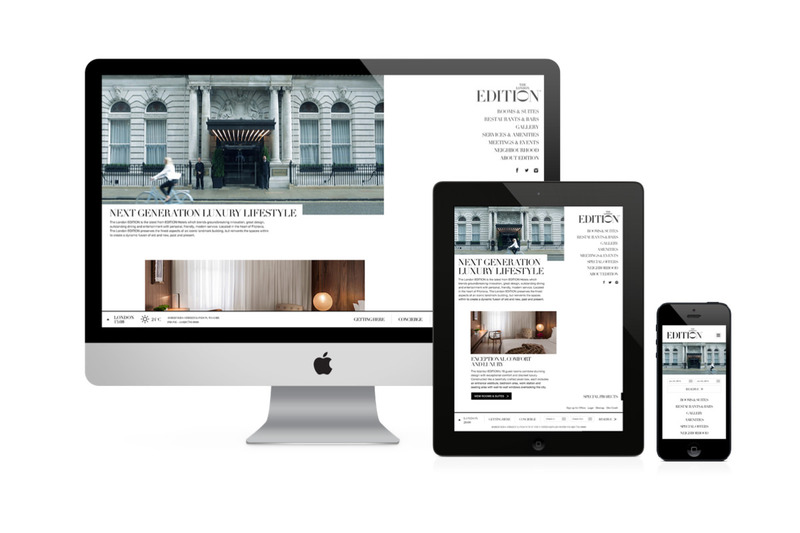 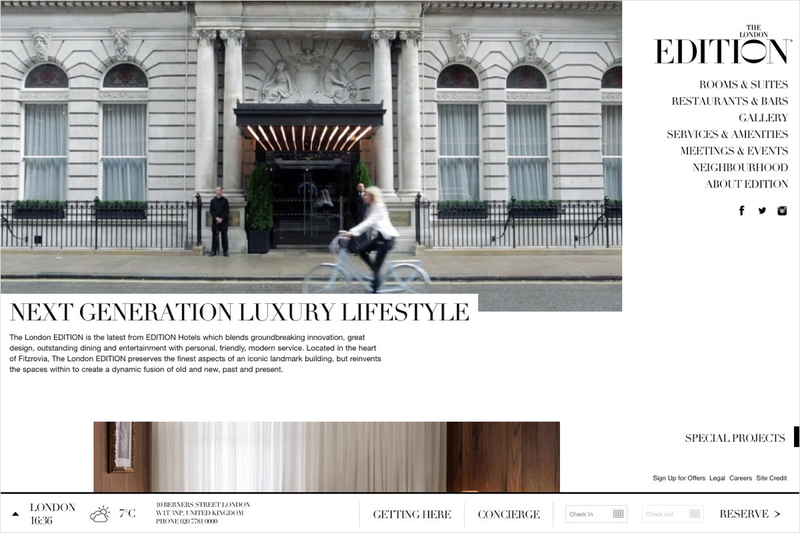 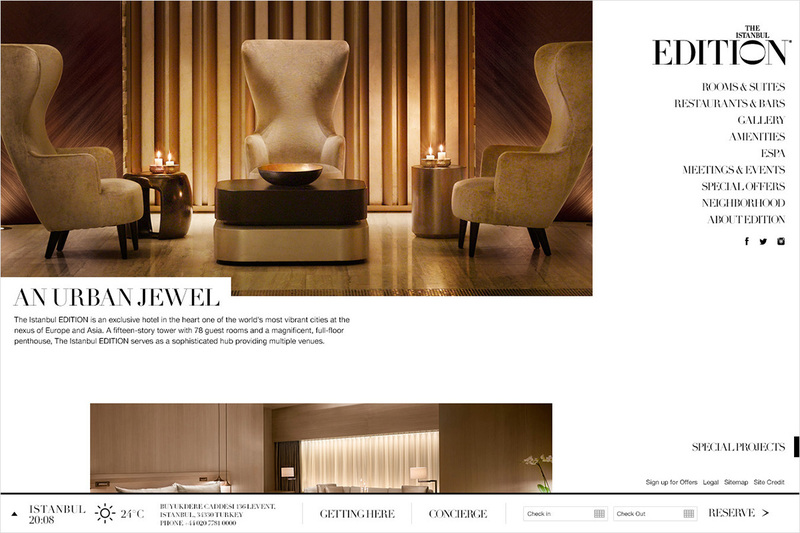 King & Partners created a radically different digital experience from the typical hotel website. 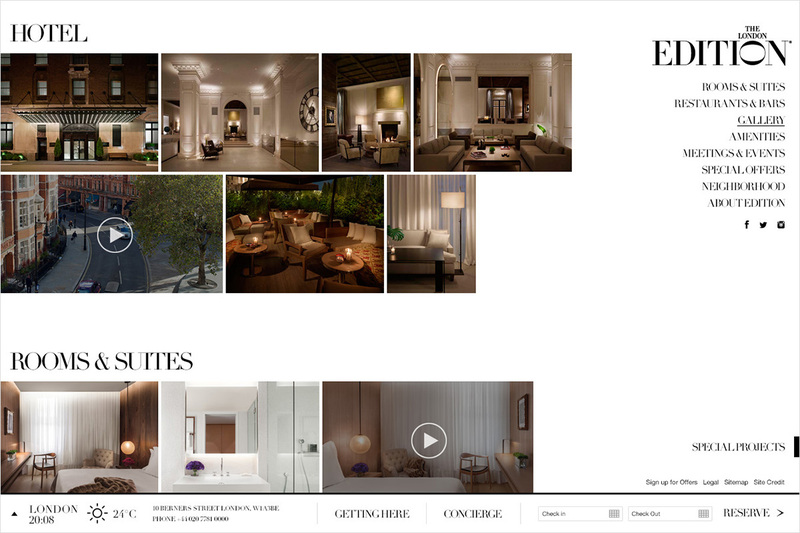 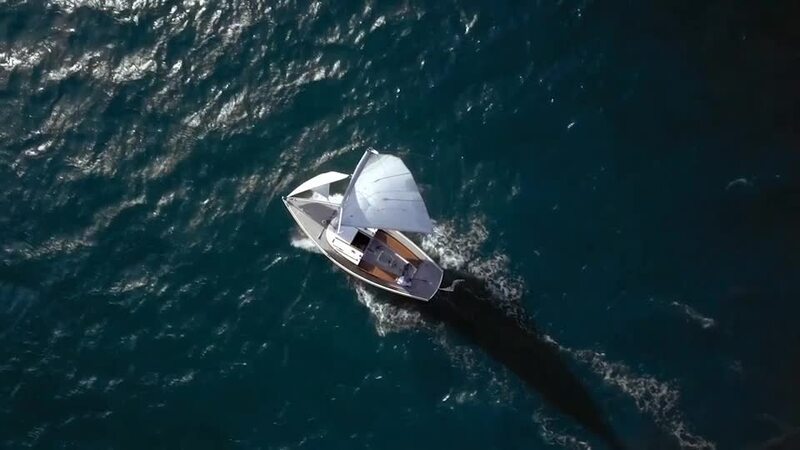 As part of our digital strategy, NOWNESS were commissioned to create five short films that celebrate the spirit of collaboration inherent to the Edition Hotels brand. 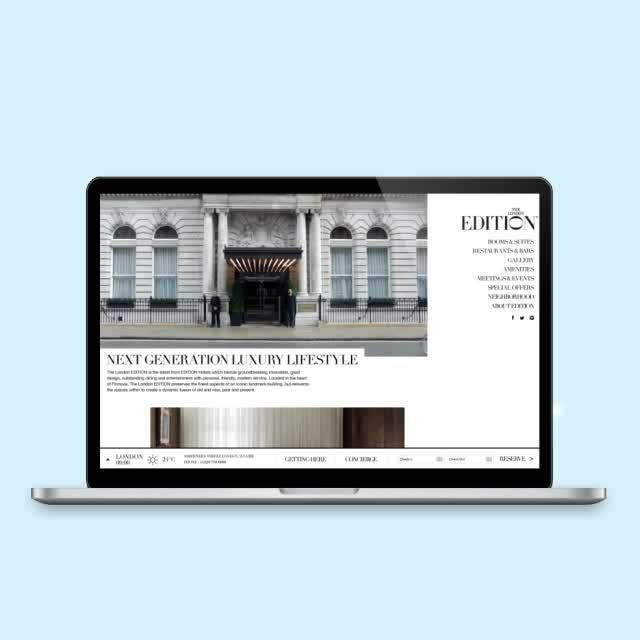 We launched a teaser site where these videos lived, helping to establish the brand values and resonate with target audiences. 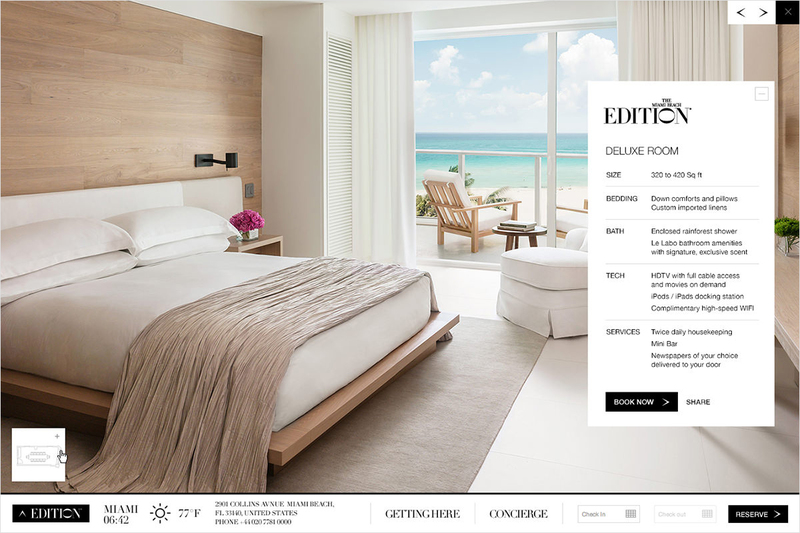 When we started working with Edition, we knew that the brand planned to launch dozens of hotels over the next decade. 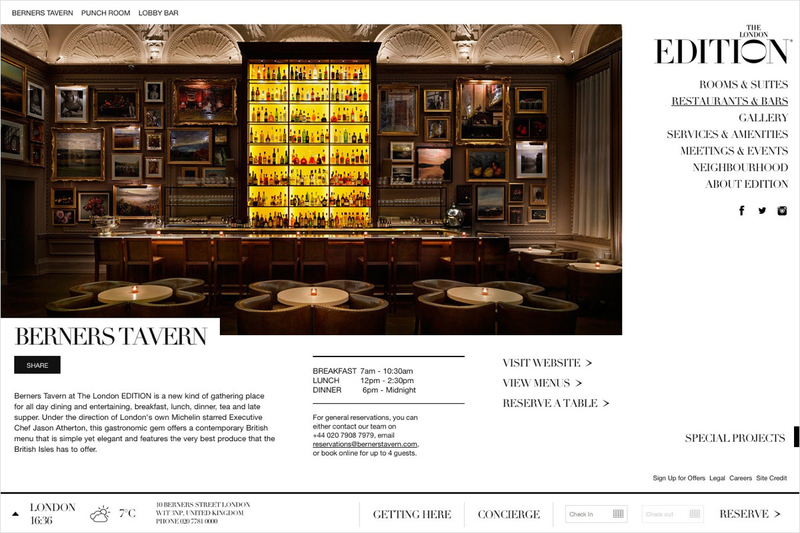 Our digital strategy ensured the site could scale as new properties open. 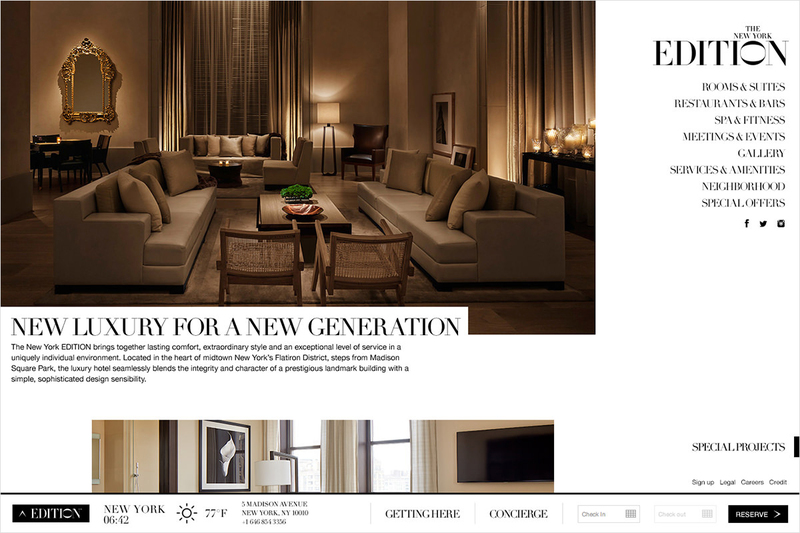 A series of page layouts could be repurposed for each hotel and populated with property-specific content to give each hotel its own mood. 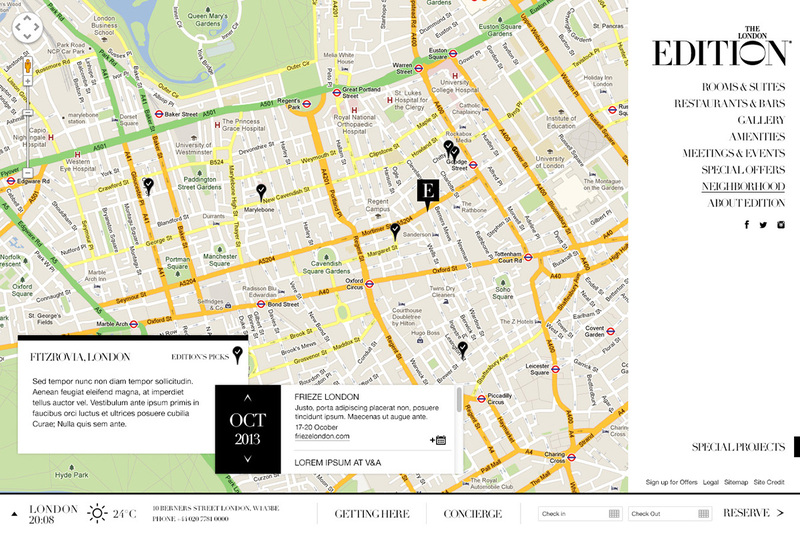 For the London Edition launch, we created two films of the hotel entrance – a bicyclist passing by in the daytime and a London cab arriving at night. 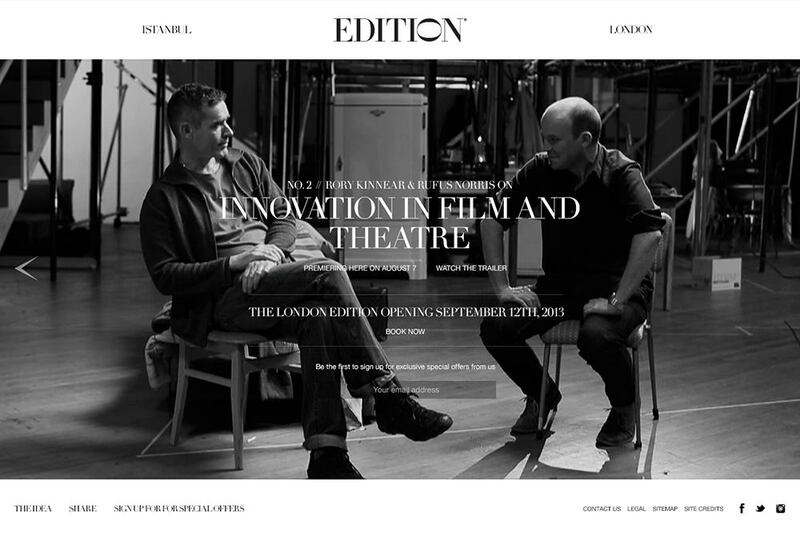 The site automatically shows the video that reflects daytime or nighttime in London based upon the users system clock. 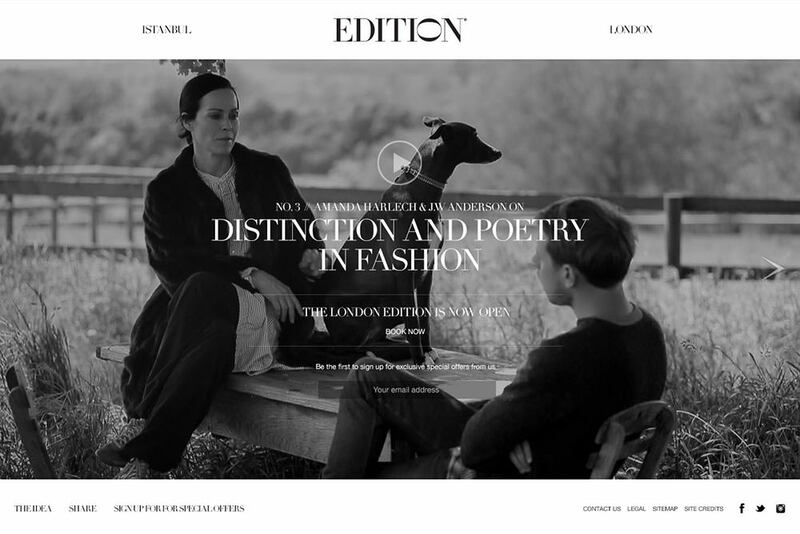 Continuing the theme of Edition’s day through night, we created a film for the Edition Miami. 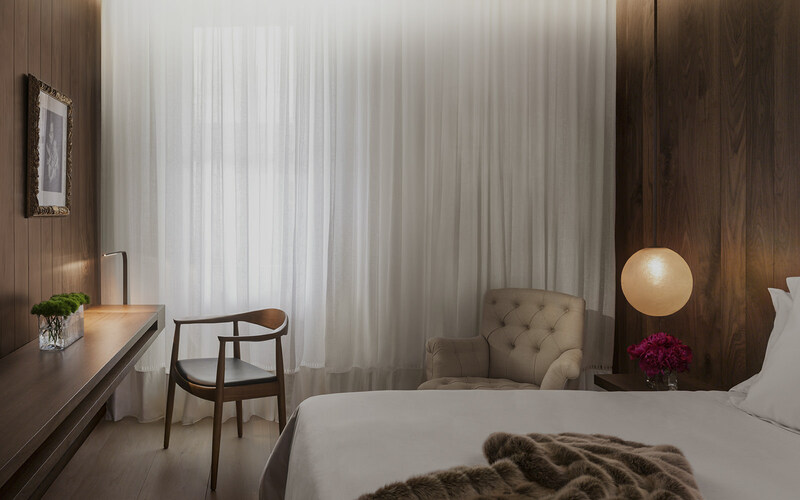 This shows the hotel experience at sunrise, noon, sunset and midnight. 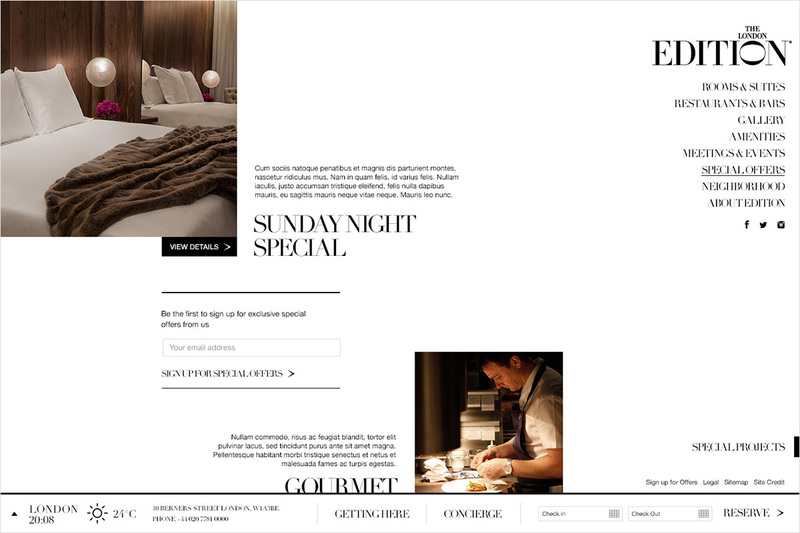 For a feeling of interactivity, the site presented the time slot closest to the actual time of day.